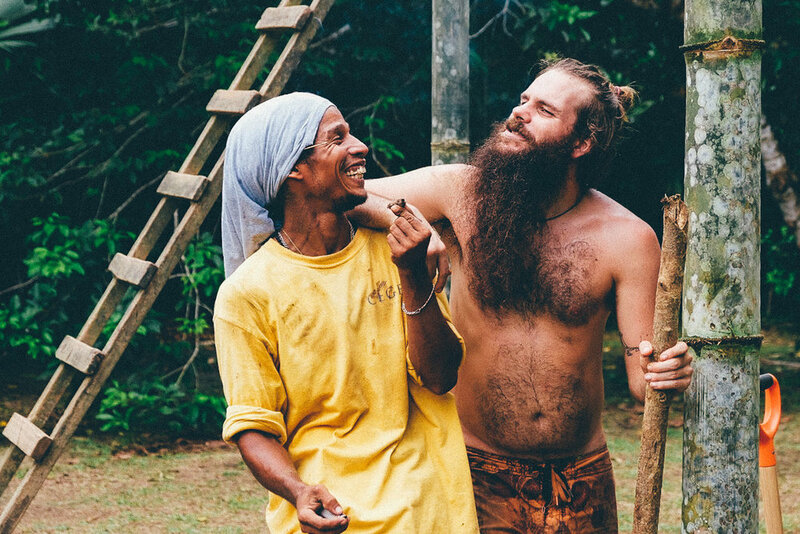 Perhaps the most special and memorable part of Punta Mona is the beautiful, welcoming, ever-changing community of humans who call this land home. Thousands of people have visited Punta Mona from all over the world, shared meals, planted seeds, held hands in circle, sang, danced, swam, laughed and loved here. Our family is huge, global, and forever. 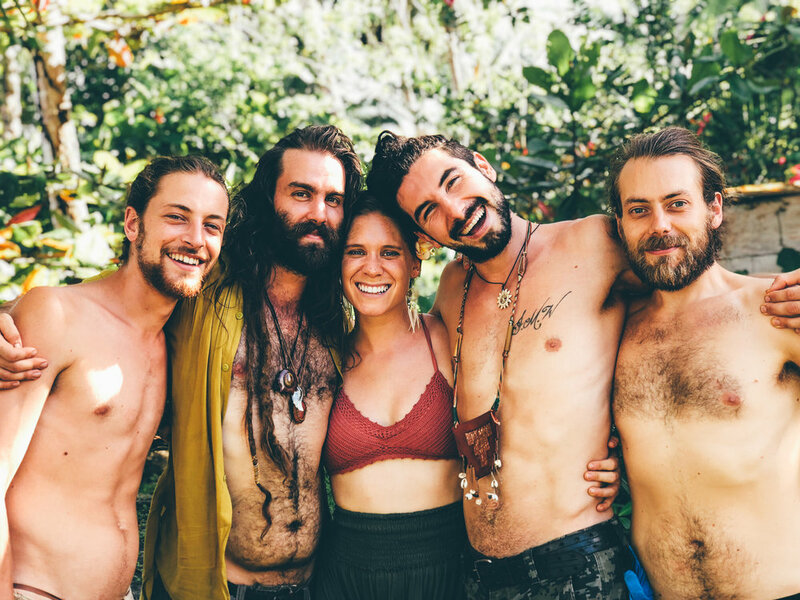 We’re fruit nerds, seed savers, compost fanatics, organic chefs, natural builders, tree lovers, campfire musicians, herbal witches, mud bath enthusiasts, clean-up dance-partiers…and we open our doors and our arms to every new soul who gets off the boat. 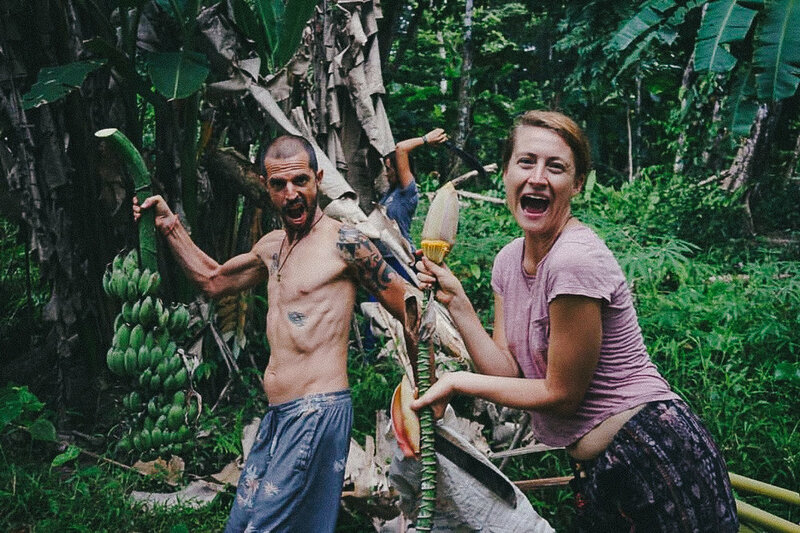 We have a permanent community of staff and volunteers who keep Punta Mona alive, tending to the farm, the chickens, our buildings, our kitchen and food, and the overall health and vibes of our people. And we regularly welcome guests for overnight stays, tours, and educational retreats. Nuestra casa es su casa. We live together as one family. You are one of us. Each individual is whole and supported - AND we are all connected and nourished by the greater whole we cultivate together as a community. Be as you are, be who you are. We are an eclectic, ever-changing community, and we open our circle to hold the hand of each new person who joins. We are stewards. We are keepers of the magic of this land. The greatest gift in life is to be of service. And we are here to humbly serve the plants, the soil, the creatures, and the humans of Punta Mona. We are here to explore and expand - ever-curious and ever-learning about the world around us, and the world within us. We observe, we listen, we question, we challenge, we seek knowledge, we teach, we create, we push through our boundaries to meet ourselves on the other side. Every moment is perfect. And we get to experience each one. Our plates are full, our hearts are full, and we savor and honor the present we live in. We are the Earth. We are the wild jungle. We are the steady sea. We walk with the creatures. We breathe with the trees. We are her stewards. Our hands in the dirt, shape and nurture this land. As she grows, so do we. We give to her, and she gives to us. Fruit, roots, leaves - nourishment for our bodies, medicine for our healing. We honor her spirit, by honoring our own. The divinity in every detail, every moment, every being who shares this experience by our side. We dig deep, we step lightly, we live simply - in balance with the rhythms and systems of the natural world unfolding around us. Our souls connected. Our feet grounded. Our minds clear and focused on our path of protection and creation. We are of the Earth. We are of the jungle. We are of the sea. We are the Earth. We are the jungle. We are the sea.